Accurate estimates of development effort play an important role in the successful management of larger Web development projects. However, estimating the effort required in developing Web applications can be a difficult task. By applying measurement principles to measure the quality of applications and their development processes, feedback can be obtained to help control, improve and predict products and processes. Although to date most work in software effort estimation has focused on algorithmic cost models, in recent years research in the field of effort estimation has started to move towards non-algorithmic models, where “estimation by analogy” is one of the available techniques. 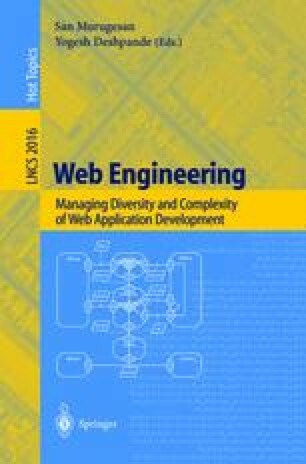 The first part of this paper describes a case study evaluation (CSE) where proposed metrics and the effort involved in authoring Web applications were measured. The second half presents the use of analogy and two algorithmic models - linear regression and stepwise multiple regression - to estimate the authoring effort of Web applications, based on the datasets obtained from the CSE. Results suggest that estimation by analogy is a superior technique and that, with the aid of an automated environment, it is a practical technique to apply to Web authoring prediction.